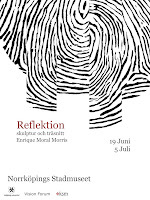 Spanish artist and Vision Forum member Enrique Moral Morris shows new work at KSM lab at Norrköpings stadsmuseum June 19 - July 5. The private view is at 3pm on June 19. A Reflection is what you see when you look into a mirror. What you see is an image, something that defines you. But what is it that defines a person and his/her identity? It could be a number on your identity card, but also the place or statue that you have in the society. It could also define the relation that we have with ourselves. Identity is of huge relevance nowadays, yet nobody seems to think about it or define what it means. During my year in Sweden, I have been studying the different aspects of identity. The goal with this exhibition is to make the viewer think about his own identity and how is it shaped, but also be able to truly understand my own identity. 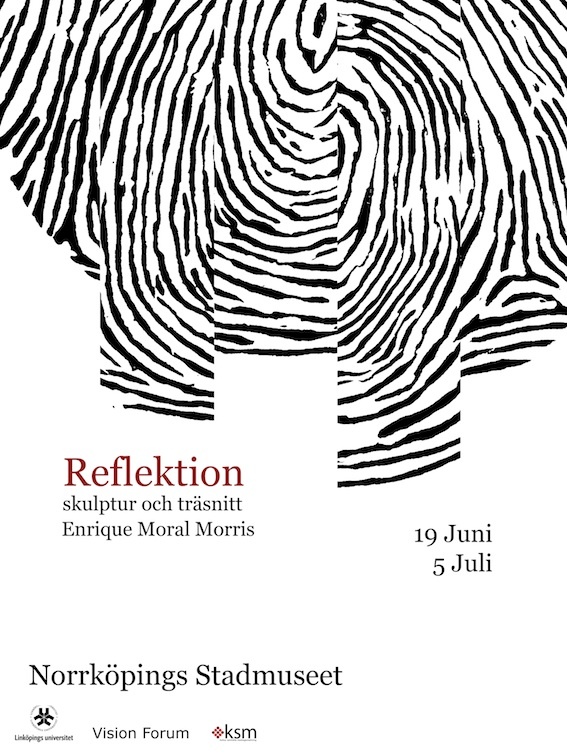 More info about Enrique and his work here and and article about the exhibition here (in swedish only).